The Franklin Apartment complex was paying a lot per informational brochure, which included features and floor plans for the apartments. The cost of handing these out to potential renters was becoming prohibitive, to the point that the brochures were being rationed and carefully given only to those that seemed really serious. This was a problem however as they could have been missing out on a lot of actual renters. 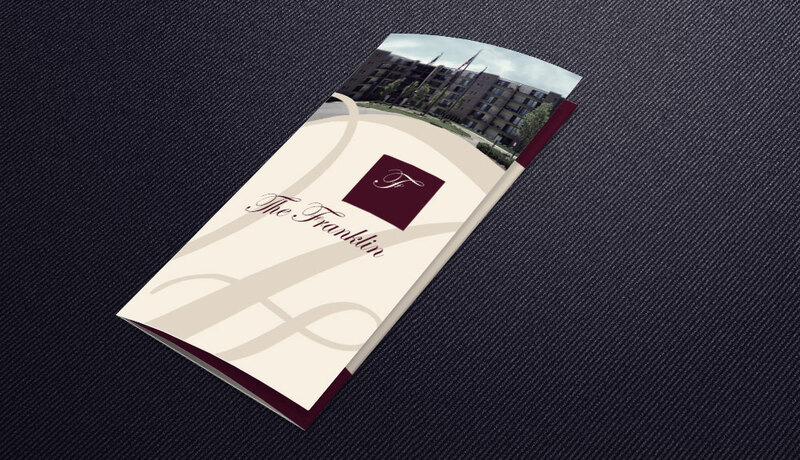 The Studio worked with The Franklin to completely redesign the brochure from the complex multiple page and costly behemoth it was to a modern and stylish tri-fold brochure. We kept most of the design elements from the original brochure, which The Franklin wanted to preserve, but we adjusted and tweaked the small details as well as the logo to reconfigure it to fit in the new tri-fold space. 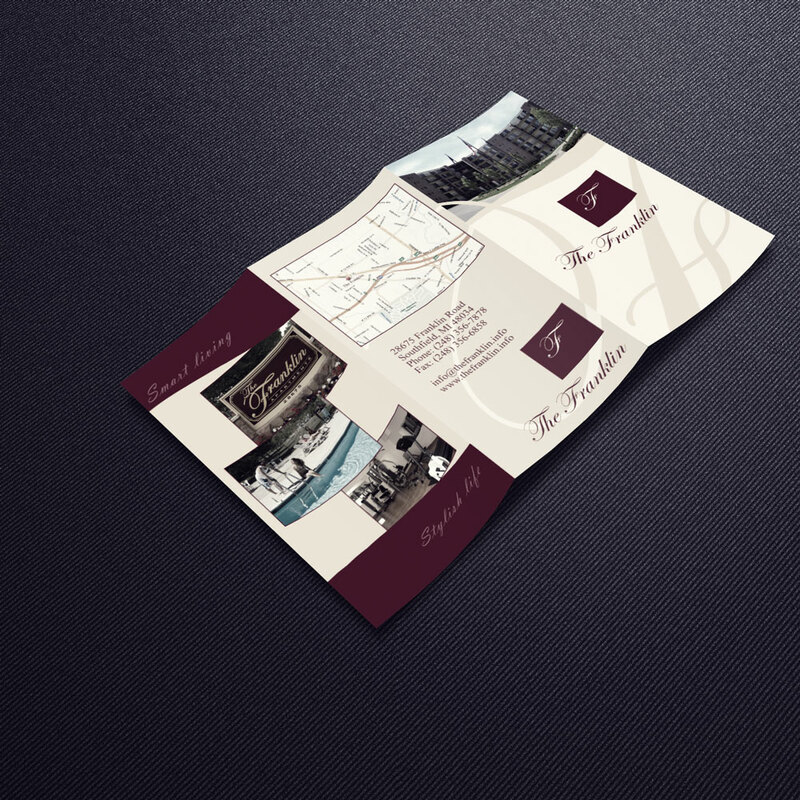 The logo layout was reconfigured to match the style, feel, and layout of The Franklin Brand. The result was an 88% cost savings! 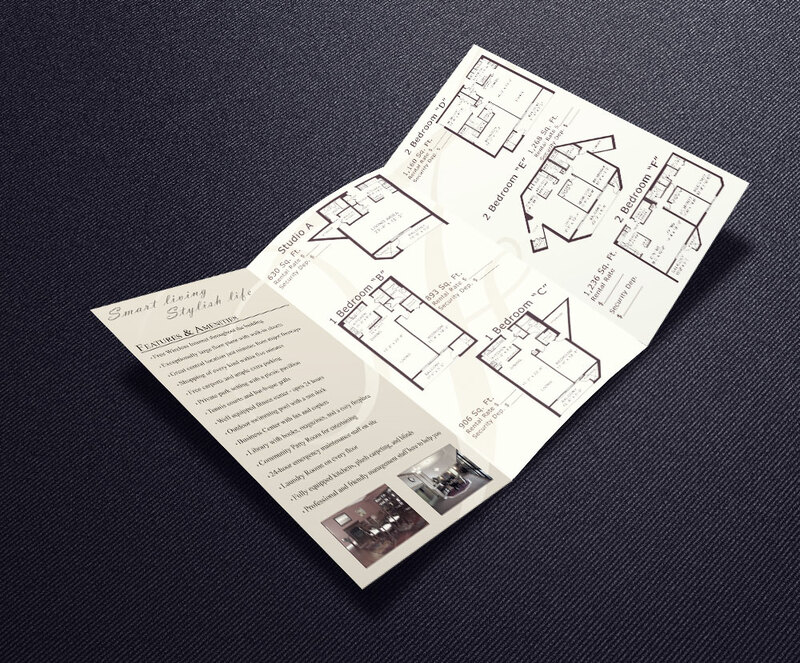 And all while keeping the same informational content and floor plans.